Keep your furnace running at peak efficiency with regular maintenance and tune ups from the professional HVAC technicians at Specialized 72 Degrees. 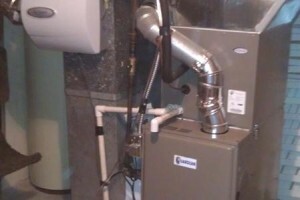 A furnace tune-up should be performed at least once annually, and could save you up to 30% on your monthly energy costs. That means you could possibly save hundreds of wasted repair and energy dollars now by investing in preventive furnace maintenance. Furnace tune-ups can also provide cleaner, more efficient operation and help ensure future problems are discovered before they occur.